Do you find that the airflow coming from your vents is low? Are people constantly suffering from allergies and respiratory discomfort? Is overall air quality a concern for you and your family? It may be time to look at your air ducts as the cause. Call (937) 488-4758. CJS offers the most thorough Springfield air duct cleaning, repair, and installation solutions that can restore clean air to your home in no time! The ductwork in your home is the main component used to distribute air throughout the home. This is why it can have such a damaging effect when it’s dirty or in need of repairs. At CJS Heating & Air we provide customers in and around Springfield with the very best air duct solutions. 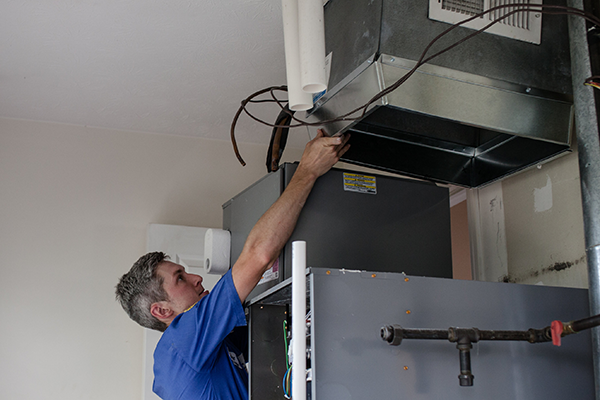 From cleanings to repairs, our professionals will provide you with a timely and efficient air duct solution. Are you noticing these signs in your home? It may be time to contact our professionals immediately. At CJS Heating & Air we provide our customers in and around Springfield with the very best air duct repair and cleaning services. We will start by inspecting the ductwork. If we see obstructions or damage, we will repair them immediately. Once we are finished, we will test the systems to ensure that the proper amount of air is flowing from your ductwork. Get the highest quality Springfield ductwork services backed by our 100% satisfaction guarantee. Call (937) 488-4758 and let our professionals provide you with the best cleanings, repairs, and installation solutions today.